Flor de las Antillas | Chicago's Pipe, Cigar & Tobacco Store | Iwan Ries & Co.
ntroducing the Flor de las Antillas, the first entirely box-pressed line from My Father cigars. 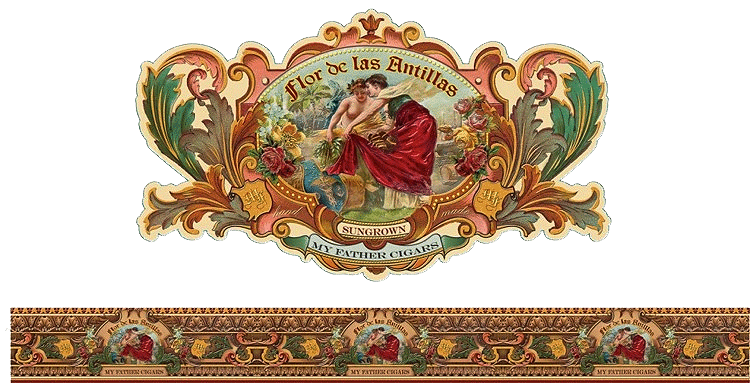 Meaning ’Flower of the Antilles’, the Flor de las Antillas represents Cuba, the largest island in the Greater Antilles islands, and home to the Garcia family’s rich cigar making heritage. Traditionally focused on more full-bodied cigars, Flor de las Antillas ventures into the company’s untapped niche of a true medium-bodied experience. Featuring an all-Nicaraguan blend of tobaccos, Flor de las Antillas maintains My Father’s reputation for crafting full-flavored, well constructed handmades. Greeting you from the outside is a dark brown Nicaraguan Sun Grown wrapper beautifully box-pressed and smooth to the touch. This leaf houses a bouquet of Nicaraguan long-fillers and binder, to create an exceptionally balanced and smooth experience. Each Flor de las Antillas delivers a distinct array of flavors, including notes of cocoa, pepper, sweet cedar, and earth. From start to finish, Flor de las Antillas maintains its smooth character and never goes a tick over medium-bodied, creating an anytime of day My Father experience. It didn’t take long for Flor de Las Antillas to catch the eye of critics earning eight 90+ ratings, including #1 Cigar of the Year honors and a 96-point score in the process, which noted: "Delicious from the first puff, with notes of nutmeg, white pepper and just enough strength without being overpowering. They are hard to put down."